As you might know, I write a programming-centric blog with about 170 posts total (as of Mar 2019). This is a separate small page in case you wanted to leave a donation for a tutorial I've written, or a question I've answered. Currently not. If you'd like to give me money and get something in return, see assets that I made. 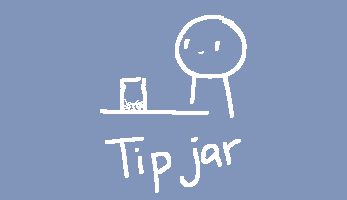 Do you have a PayPal/Ko-fi page? Thanks for listening to my crazy ramblings.